While I wouldn't say I love the low level grind, I do make use of Maggie, Glenn and The Governor during these levels to get bonus XP and supplies. I agree that the gear rewards are instant scrap and yield only modest XP, but on occasion a gold or even silver crate will give very respectable supplies or XP. Just like @TransmuteJun I also use the lower levels to figure out the best strategies and I fear skipping ahead too quickly will result in me getting stuck and not being able to progress which means I'll drop out of the challenge much earlier than I do now. As for scavenging, I don't enjoy the scavenge grind at all and I only do them when it helps fulfil a quest or there's an event, like the recent double supplies event. Having said that, I can appreciate that many advanced players will enjoy the ability to skip low levels, but I'd prefer an option to use passes manually rather than have it being applied automatically and I'm unclear why it isn't like that. Serious question for you and @TransmuteJun... Would you agree that whatever level you start on, the first round of maps will still be relatively trivial? So let's say you get 5 'skips' and instead of starting at RSL 15 you start at RSL 20. Isn't RSL 20 still relatively trivial for your level 21 and 22 survivors? If it is, then just don't click the 'Advance to next level' button (or whatever it's called). Repeat those RSL 20 maps over and over again getting those mission crate rewards, bonus XP from using Maggie, and to test out different survivor combos. I think you can do the same thing, just starting at level 20 instead of 15 as long as you choose not to advance to the next level. @JayZ I can appreciate that you are better off by skipping challenge rounds, but I'm betting you have some pretty hefty pinkies. I have to start strategizing at same RSL to RSL+1. This does NOT give me '5-15 rounds' of recon if I'm starting at RSL 20. Sure, I can go further in the challenge... *if* I could go further in the challenge. I have to stop at RSL +3 or +4 (depending on the challenge) because the hospital time and frustration just aren't worth going further. Skipping the early levels of the challenge does not mean that I will play further in the challenge. It means I will be playing the challenge less. That means that I have to play scavenges (or be bored) more. The extra gas I 'save' may very well be wasted/useless, because I generally don't play scavenges once I am maxed out on food (as I currently am) and have little else to upgrade with my XP (and I'm almost there). My point is simply that while this may seem fabulous to you, there are many players who will be disappointed at being forced to skip the early levels of the challenge. All I'm asking is that it be made optional. 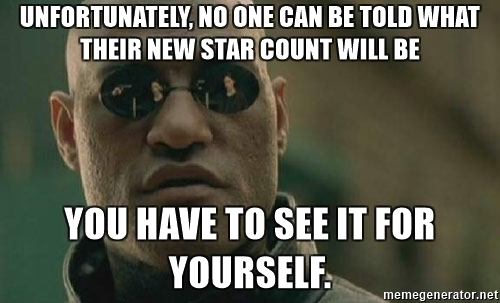 This takes nothing away from you, or other 'reach for the stars' players with 3, 4, 5+ star pinkies. It only leaves the current system available to those of us who enjoy it that way. I'm glad that you are looking forward to this. I'm only saying that not everyone sees it the way you do. Now I'll acknowledge that I haven't played The Distance yet, so perhaps that will fill the extra time and gas I will suddenly have on my hands, but given how it's being described (as incredibly challenging for end-game players) I'm guessing that I won't be able to finish that either. So it may end up that I could be playing the game LESS than I am now. I just figured that NG might like to know that missing those lower levels will actually have that effect on some players. ETA Seems Bill_ZRT posted at the same time I was typing up my post. Yes, that's probably what I will end up doing, Bill. Seems a bit of a bandaid solution, but I agree, it's the best approach. But no, it's not entirely trivial. I like to run scenarios on the low level challenges that might involve running into the midst of a group of walkers or into the way of freemen... and multiple hits from those, even at level 20, it going to result in hospital time. I am looking forward to start even higher RSL 22/23 to reach the dead zone much faster to spend my gold on healing there (hint hint). Just popped on and saw the video, skimmed some comments and now I'm seeing stars! Guess I'll wait till it arrives as my brains spinning. Gotta tip your hat to the developers for keeping things interesting. Great discussion but let's keep things civil. All view points are welcomed on the forum. Despite to @DLich awesome chart i'm still more confused. Considering that i will maybe not lose any star until 27.3 ...what will be my stars count after the update if i'm a lvl 21 player? And how many stars if i'm a 22 player?? @DLich can you please add in your xls sheet a third coloumn for the poor guys that have 3xlvl22 like @JackBauer @vshield50 and @tallinie ? @TransmuteJun I only have one 2-pink star survivor in each class and one 1-pink star survivor in each class, so I don't think my team is too hefty. Certainly not compared to some of the folks on these boards. Even still, my team can make it through RSL26 without losing a star, so I assume that most people with level 22 survivors should be able to get through RSL23-24 without a problem. I know you've mentioned that you're a FTP player, and I generally am as well (1 gas booster a month, at most), so I don't think our teams and gear should be too different. Regardless, I respect your different viewpoint and hope I didn't come across as too critical of you. As I mentioned in my original post, I do think that you have a valid point w.r.t. the new system. My ire was primarily directed at the folks who are arguing that you are missing out on significant rewards by passing up the low RSL levels and who have not yet acknowledged that they are wrong. This is patently untrue, and I don't want people dreading this awesome improvement because they've been misled by someone who is not considering the opportunity cost of the saved gas. @JayZ No offense at all. I respect your opinion. I can get through RSL 24, but 25 can cause some problems (especially with maps like Archives, or ones with Freemen). It's not worth the multiple replays and hospital time I would have moving beyond that. I am glad that you can agree to disagree on the issue. I'm just asking if NG will accommodated both of our sets of preferences. My thinking is if there was a way to turn off the ability to skip levels it would have to be presented in the beginning of the challenge prior to earning any stars. Almost like an "are you sure you want to not skip rounds" type screen. If you selected yes and choose not to skip rounds you forfeit all skips earned the previous week. Otherwise it leaves it to selection of turning it on and off when you like. The player doesn't get the ability to choose which rounds they skip it's only the first few rounds of skips earned. Maybe adding that optional screen wouldn't be too bad. Just a thought anyway. This way those who really want to play lower RSL's can. Sorry but my english is so bad !!! If we start first challenge in rsl 15 and win round pass we start next challenge so next week in rsl 15 + round pass win , ok but for challenge 2 next week we restart in rsl 15 or other ? Sounds good to me, quick question though. Let's say you skip round 15 and 16 do you loss those stars or get them automatically? Get them automatically (with some bonus stars to boot), from my understanding! Less grind, less gas cost, fewer rounds where max players receive useless tomatoes...sounds good to me! To close this long post I'm 100% sure that if NG don't do this move the complainers would be here saying that they not have time to play the distance and search components for badges because they have to reach his minimum and not let down his guild mates. @DLich I was trying to make it sound like I wasn't complaining, because I'm really not. I think this is a great idea. I didn't consider the increased scavenging due to saved gas, so I guess my only issue is the decreased possibility of radios. Correct me if I'm wrong but the challenge rounds have better potential for radios in post mission crates. My basis for this line of thinking is that the odds of supplies/XP/equipment are higher in post-scavenging crates, so the odds of radios is lower than the challenge rounds. So I figure that is taking away a better chance at radios. That's why I think the round skipping should be optional. TBH, I'd probably skip rounds anyway, but I'd like it to be a choice. Love the new changes and Ng can't please everyone. I'm sure in the end you will be thankful to be able to skip through a few low level rounds in challenges giving you more gas to do other things. @Teeceezy @Fearofabotplanet Question: Do the skipped rounds count towards the cool down? @cylonnumbersix If you skip RSL 15,16 then rsl 17,18 will have double rewards. Standing ovation for @DLich for the detailed table. I know I'm in the minority here, but this makes me nervous. I LIKE starting at level 15, I LIKE having some easy levels to try out different strategies, explore the maps and work out how I want to do things when I get to the higher levels. I LIKE being able to use Maggie or The Governor to increase rewards in the early levels. I can't use them later on because they're not good enough to go once I get to RSL 24. It would really be wonderful if there was an option to skip round passes, so that those of us who WANT to play the early levels could do so. Please? To me it sounds like an automatic feature. @Putchuco from what I gathered from Terminates video, its not mandatory. Perhaps lets @Fearofabotplanet @Teeceezy @Shteevie explain it. The round pass happens automatically when you begin the challenge. I would use them anyway. Normally I boost my gas the first few days with gold to reach the max amount of stars. Due to real life issues I don't often buy gas boosters. So if I can skip 5 or more challenge rounds, I have saved all this gold and can use it for other purposes. Since you have to pass 5 rounds to earn 1 pass, only the top level players will be able to earn 5-7 round passes. Newer/ lower level players will probably only get through 20 rounds or so therefore they will skip less low level rounds the following challenge. I think this new change is well balanced for the new players and the veterans. For the ones that enjoy the low level rounds I highly doubt they will skip that many rounds. It's been a while since I logged in to the forums one morning with 102 notifications. I appreciate all the excitement and interest in the next update! I want to give a little background into the thought process behind the selection of the particulars of the design here, as a way of hopefully making things more clear to those that still have questions or concerns. Firstly, Challenges are the #1 game mode played in the game; this is not news. Even with the Distance available regularly, we don't expect Challenges to be dethroned. So, this really is the situation of trying to create a feature that pleases everyone. Since that is usually impossible, the next goal is to piss of the smallest number of people. Personally, I'm a realist about these things, but as a business and a recreation, we of course want to make the largest possible number of players happy. This is largely why the use of the passes in automatic. It would be unfair to allow players to use the passes anywhere but the beginning, and very complicated to try and figure out how to 'game' the system by using some, or all, and when. So we chose automatic usage because it is applied the same way to everyone, and because there could be no mistakes made by players if they were asked to make a choice before they understood the ramifications of that choice. As for the earning of doubled stars and TGs - you do still have to play the missions to get these rewards. If you collect 5 round passes last week, you might start at diff 20 instead of 15, but you will have 0 stars before you play any missions. For 5 rounds of play, your star gains will be doubled, thus giving you a few more than the 5 skipped rounds' worth of stars, but you do still need to play the missions. No free stars in the new system, same as before. Lastly, the mission crates increase in value as the difficulty increases, and the challenge system allows for people to replay missions as many times as they like if they want to play more without increasing the difficulty. In this way, players have all the freedom we can give them to keep playing before things get too hard for them, to farm for weapons or other loot, or to practice strategies at reasonable difficulties. Seeing really is believing, and so for all of those who have strong opinions at this point, I urge you to give the new system a try with an open mind. When the update releases, the first challenge you play will see you earning your first Round Passes, which will then be used in the following week, so you can see all of the information and make all the choices you need to optimize your play patterns and get the most out of the Challenges. Thanks again for all the prerelease feedback, and we'll definitely be interested to hear more opinions from people after they have played with the changes. What is better, and what still needs attention? What is confusing, and how can we make it clearer? As always, these updates and improvements are made specifically for you, and we want to try and make as many of you as happy to keep playing as we can.